Good morning sunshine! Well, you may not be shining your brightest every single morning. That is why morning rituals are a great way to awaken the senses and allow the mind to approach the challenges of any day with ease and grace. To help you start your day right, I’ve put together several yoga poses that are ideal for starting the day before you even leave your bed. Before you begin, remember that breathing full breaths through every posture is key. Remain in each asana for 5-10 breaths. Continuously scan your body for new sensations. During each transition allow the eyes and jaw to remain soft as you gently adjust your body into the posture. Stimulates the heart and improves general circulation. Stretches groin, thighs and knees. Helps relieve stress and calms the brain. Massages the abdominals helping remove toxins. Stretches the ankles, hips and thighs, shoulders, armpits and triceps, and chest. Stretches the spine, shoulders, hamstrings. 7. 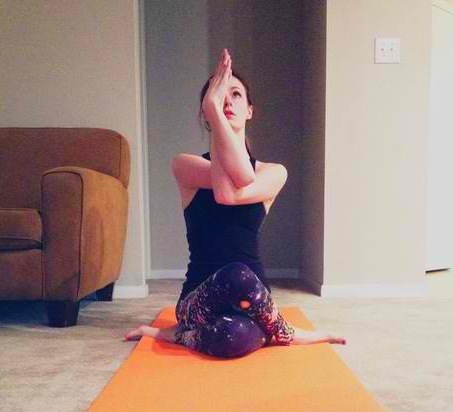 Crossed Legs Posture - Sukasana, then begin conscious breathing with the Three Part Breath - Dirgha. You will bring breath into the top, center and then bottom of your lungs in three parts. Allow the chest and belly to expand, the collarbone is long and the heart is open with each breath. Next, add the Ocean Sounding Breath- Ujjayi with the three-part breath, 4 count inhalations to 6 count exhalations. Complete this exercise for 3 to 5 minutes and keep the breath smooth and rhythmic. Performing these poses and practices each morning will ground you before your feet even hit the ground.